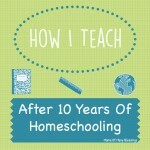 One of the struggles we have had over the years is our homeschool kiddos trying to skip some of their work. In my experience it’s not like when they do it, they don’t work on their school at all. What they do is make it look like they did school for the day. But in reality they did some of their classes for the day and not others. This hasn’t necessarily been such a problem with the younger kids, because I help with their school and closely supervising most of their lessons. The older kids who are more independent with their school and they are the ones I have had issues with. Mainly because some of my kids just do their work every day without problems and others really struggle with it. 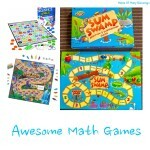 We may or may not have had a kiddo who choose to skip their math class for over half of the year and then had to catch up :-|. It’s not that they didn’t do it, they did 1 page a day instead of 2, and skipped the tests and also forgot to do the grading. That meant they did not getting free time and were catching up for quite a while. After this issue, I knew then that I had to figure out a way to manage everything better. Now I know this is my fault for not holding them all accountable for doing their school work more regularly. 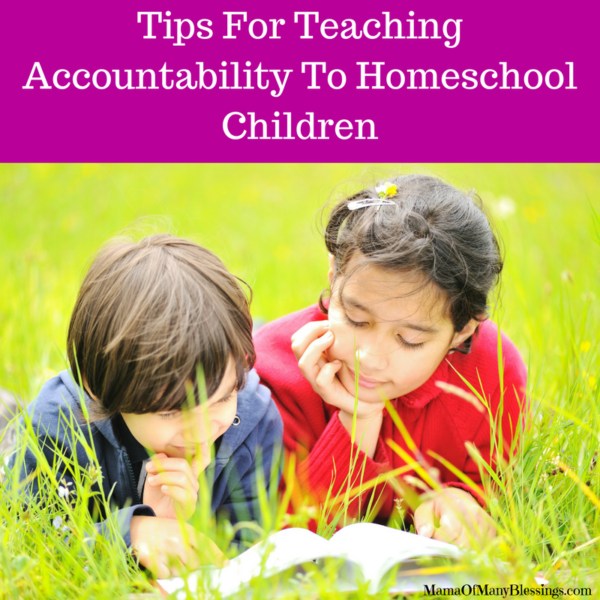 I do also realize that teaching our children to be accountable for their own work is a process in which we as homeschool parents are teaching our children to accomplish. 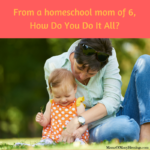 With homeschooling 6 and life, I do tend to get caught up with things or just get busy and forget to check sometimes. I’m sure I’m not the only one who has struggled with this issue. So I’m going to share with you some of the tips, ideas and things I have learned through the years. Of course, from trial and error. 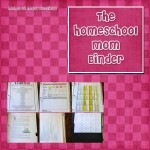 Homeschool Mom Tip #1 ~ If your child is getting done with their school really quickly check their work. Often times it means they are not doing what they are supposed to be doing. 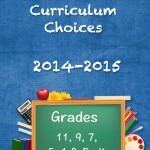 Really Check Their Work or Grade Weekly ~ So I’m not a person who regularly grades the kids school. I batch grade, weeks at a time. The only downside to this is if they have a bunch of pages to correct it can get overwhelming to them. The pages that are not completed are easy to catch. It’s the pages where their answers are something like “there are a lot of reasons, to many to list.” Those ones are really only caught by grading their work regularly. If they only have 1 weeks worth of stuff to correct it is much easier on everyone. Grading their work weekly means you catch these regularly, before they become a habit. Make a schedule for them ~ We simply use a spiral notebook and have the kids write their subjects across the left side and their subjects across the top. Fill in the box every day what they did for each class. Simple but effective. 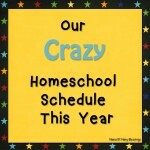 Make a master schedule for me ~ In my calendar that keeps track of everything going on in our home, I keep the weekly section for the kids school. I write what they do every day in a section and then at the end of the week check their actual work to make sure it is really done. Along the side I keep notes like “remember to have child 1 do their speech.” Child 2 needs to ask for a spelling test on this day. Child 3 needs to be turning in a book report. In this schedule I also keep track of our field trips, days off, trips to the YMCA or Gymnastics. Why do I keep 2 different schedules you ask? Because there have been times the kids forget to write their schedule out or “forget” to do their lesson and we can use my calendar to make sure they are getting done the correct lessons for the day. It also gives them an overview of each class they need to get done for the day. Have A Weekly Meeting Day ~ I now have a weekly meeting with each of the older kids. This usually happens on Fridays around here, since those are our light school days. On those days I have the kids bring me their school books and schedules. We compare schedules and anything that isn’t in both calendars is written down. I check to make sure each of the lessons they were supposed to have been completed are actually finished. We discuss any struggles they are having for the week, how classes are going, what has happened in their stories they are currently reading, etc. It’s just a great time to sit and spend time with them individually. Now we have a mix of feelings from our kids about teaching accountability. I have a couple kids who gladly bring me their work and show me the pages without any problems. I have other kids who complain and whine that they have to take time to do this, and how it “isn’t fun.” I gently remind them how it isn’t fun to have to catch up on tons of school work because they skipped it. 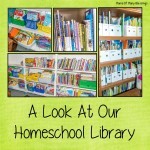 Following these steps has made our homeschool run so much smoother. It has also helped me keep track of what needs to be done for each of the kids in each class. 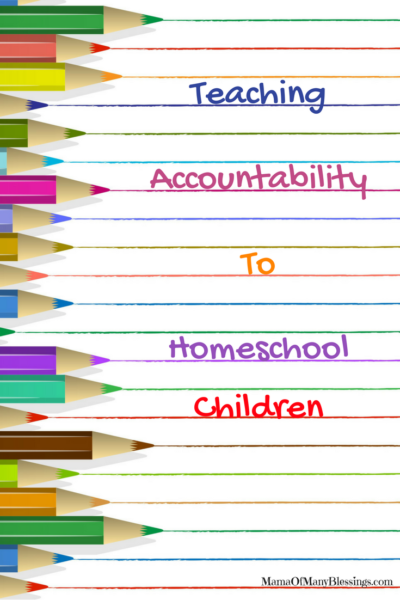 What are some ways you have used to teach your homeschool kids accountability? Leave a comment below letting me know, I would love to hear from you! 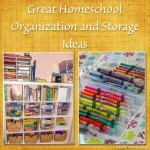 I have a couple different Homeschool pinterest boards that have some really great homeschool ideas for you to follow. 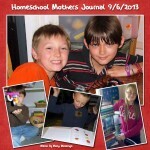 The second is a board I manage that is a group board with over 30 different homeschool moms posting their homeschool posts to it. I amy be linked up to these parties. We taught this by using Sue Patrick’s workbox system. It was a BIG help to teaching independence. The other was creating a weekly schedule that I worked on with the kids on Sunday.